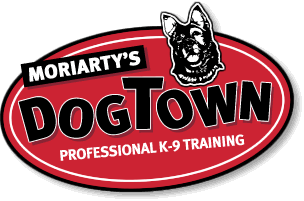 Moriarty's Dog Town, Professional K-9 Training, dog training - My dog is very smart and a good worker, I would like to train for some sort of compitition. Can you direct me to the correct disipline for my dog and help me train for it? > Dog Training > FAQ - Frequently Asked Questions > My dog is very smart and a good worker, I would like to train for some sort of compitition. Can you direct me to the correct disipline for my dog and help me train for it?